"We are ready to negotiate, sit down at the table and set priorities." MP Boryslav Rosenblat of the Petro Poroshenko Bloc (PPB) faction says his political force is ready to consider the requirements of any party to strengthen the coalition. 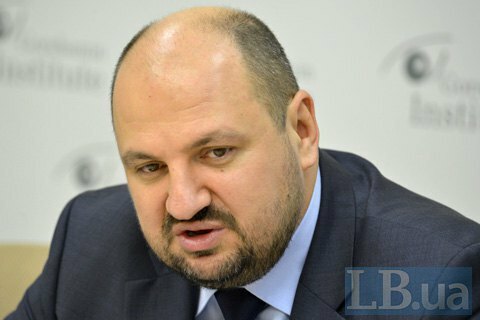 "Only the unity of us all in a common European-minded parliament will allow us to tell the whole world that Ukraine is able to overcome all political processes," the lawmaker said at a roundtable in Gorshenin Institute, commenting on the appeal of MP Iryna Gerashchenko to the Radical Party, Self-Help and Fatherland to return to the coalition. "In times of war, countries like Israel or Korea have national salvation governments. They are not divided by political programmes, they know one thing; their countries are at war no matter if it is announced or not," said Rosenblat. The lawmaker believes that Ukrainian politicians should not divide Ukraine. "We are ready to negotiate, sit down at the table and determine priorities, bills and programmes that every party has. Self-Help seeks to amend the electoral law. Fatherland's requirements change day to day, but the tariff policy seems to be their thing... We are ready to consider any demand by any political force, except for one: no negotiations with terrorists, no electoral process on the occupied territories ... We should not be like the proverbial Swan, Pike and Crawfish," he stressed. Currently, the ruling coalition in parliament includes only two factions - the PPB and the People's Front - with the total number of seats being below the required minimum of 226 so the coalition exists only de jure.